BPE industry experts reflect on a years worth of projects and client interactions to identify the trends they believe will shape the pharmaceutical manufacturing scene in 2019. As we move towards implementation of new technologies, continuous manufacturing & Pharma 4.0, many clients are under increasing pressure to adopt new manufacturing methods within a legacy plant environment – an area where BPE expertise is to the fore. In 2019, more sites will require their engineering partners to support the stakeholder engagement and executive level buy-in to secure pharma 4.0 investment. These are newer ventures and typically expertise might not be onsite. However through the medium of 3D visualisations/ VR and business cost analysis, BioPharma Engineering are supporting our clients by providing the confidence through design and justification through ROI, all required for securing investment and the potential future of a sites competitiveness. Digitisation and analytics is key to Pharma 4.0. We predict that Augmented Reality will move rapidly from the current novelty type status, into a more mainstream practical uptake for business applications. For example, Merck recently introduced Microsoft’s HoloLens to its R&D Labs and will be rolling out subsequent projects across the group. AR, is the overlay of information, in-real time, on top of physical surroundings. In many ways lends itself perfectly to pharmaceutical manufacturing setting. In an environment where high levels of controls and standards, complex equipment operations and continuous maintenance/system health checks coupled with increased automation, it is no wonder that we are already working with our clients to investigate its usage on current projects and to introduce to their sites. Continuous Manufacturing or Highly Automated Processes. Flash Track” is the new “Fast Track” in 2019. Clients state that once CapEx gets approved there is a squeeze to deliver the projects to operations in even tighter timelines. Single Pass Engineering – Have scope defined, issue first pass quality design documentation and avoid churn. Our clients continue to adapt the ASTM E2500 lean validation – verification model, on newer project implementations. BPE have delivered this methodology over a number of projects and has proven successful. With this approach traditional C&Q is embedded into the overall design – allowing for early engagement, design inputs and design reviews and continuous improvements. For all new start-ups and greenfield projects this approach makes absolute sense and decreasing the downstream build-up of paper work on any given project. However for legacy sites it does require clients to adapt their overall structure and approach to qualification. Larger players in the market introduced ASTM E2500 throughout 2018. In 2019 we envisage further adoption of this lean model. The era of personalised medicines is coming upon us. Both small- and large-volume products, particularly those with short commercial lifespans will have to be manufactured as lean as possible. The requirement for lower investment and faster set up times, to get product to market is stark. Modular builds and warehouse structures with cleanrooms “box in a box” approach is a preferential design by many clients. Undoubtedly, 2019 engineering leaders will preference multi-product facilities for long term site security. 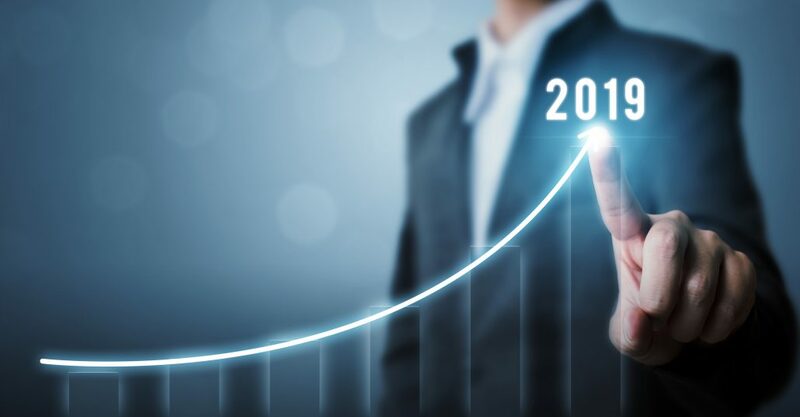 As these trends play out in 2019, we envisage an exciting year ahead for Biopharma Engineering, our growing team and our expanding client base.